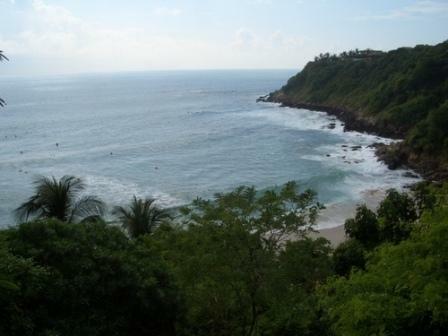 Puerto Escondido Real Estate is created with the sole purpose of showing you the investment opportunities that exist in that area. 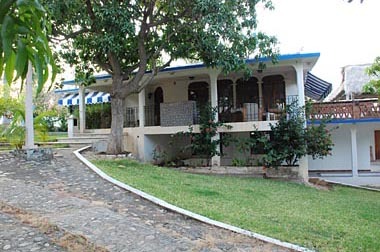 If you are a developer, builder or just have a good investment idea on the Oaxaca coast then you are in the right spot. Perhaps you want to have an ecological project, perhaps a golf course or a hotel sorrounded by palm trees, banana trees and mangoes you certainly are in the right hands. You will see in this small list a couple of interesting, large properties for sale at the right price. To get more info in how to acquire a Puerto Escondido Real Estate check these pages So let's start with the first properties, if you have anymore questions just go to the Contact Us page and fill out the form or call us. In the mid time have a happy land & house hunting! 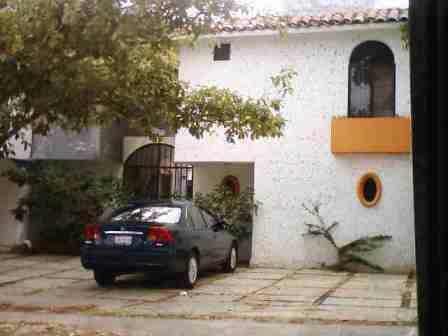 Small but cozy apartment for sale in the best residential neighborhood in Puerto Escondido (Rinconada del Bacocho)the apartment is located at just few blocks from "Carrizalillo" beach in a quiet & tranquil area. The apartment is a two story. The first floor has one half bathroom, kitchen, living/dinning area with air conditioned. The second floor has two bedrooms with closets and a slide door that goes to the balcony, one full bathroom and it is also air conditioned and has a fan too, you have one off-the-road parking space and share a small pool that right now is not in use. 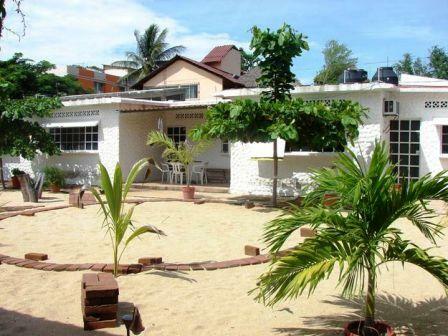 Income property located near the hotels & comercial zone, at just 2 blocks from beach, in quiet and nice area. The property has a house that has air conditionning masterbedroom, walking closet, full bathroom, large kitchen, living/dinning room, terrace, jacussi, half bath, maid quaters with a full bath, laundry room, garage for two cars, storage room 5000 lts water reservoi, water pumpt & extra-pressure system for the water, telephone line, Cable TV & broadband wireless Internet service. Also it has 5 bungalows all of the equipted and furnished 4 of them with large bedrooms, air conditioned, with its own electricity, water, trees, terraces, garage for 4 cars, water reservoi and more land. This house features a large (4300 Sq. Ft. - 400M2), split level home on 1.3 +/- acres (5400 M2 +/-) with 3 bedrooms, 2.5 baths, spacious living and entertainment areas, a studio apartment, office/rec room with a pool, covered verandas and a large palapa area with ocean views. Property includes a small caretakers home and various indigenous fruit trees. Additionally the property has several trees that produce various fruits that are indigenous to the Oaxacan Coast. The house offers rare, state of the art utility infrastructure with underground 3 phase power from a 35 KVA Substation with a 225 amp panel, satellite TV and high speed internet service. Enjoy strong water pressure with HESA, On Demand, water heater. Property is served by city water and a septic system. All ceiling fans in the house are marine grade by manufacture of Hunter Ceiling Fan products. Casa Alderete is conveniently located about 5 minutes from downtown city center and 3 blocks above Playa Zicatela, an international class surfing destination which is also known as the Mexico Pipeline. This is a 44 hectars of land where there are aproximately 10,000 trees of fine woods like red ciders and a large variety of trees of the higest quality. 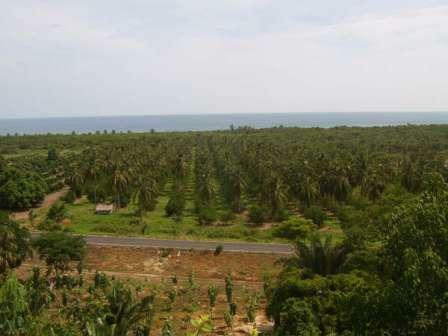 The property is located at 29 kilometers west of Puerto Escondido. This marvelous piece of land is located at just 25 minutes from Puerto Escondido, really near the Roca Blanca beach and La Laguna de Chacahua. It is a private property and holds a public deed. It is a 5 hectars with 120 meters of white sandy beaches and lots of palm trees and fruit trees. It is a 9 hectars piece of land sorrounded by water, trees and nature at its best. 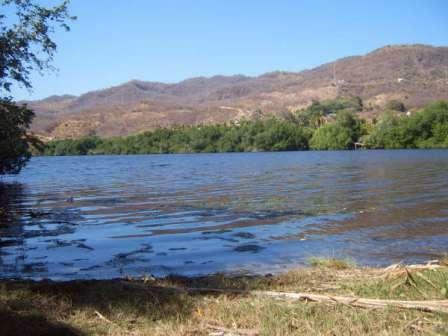 It is about 17 kilometers from Puerto Escondido, it has 76 meters with the Costera road and 467 meters with the Minialtepec lagoon. This is a 6-75 hectars with a lot of palm trees and limon trees. It has power, public water service. it is a 148 meters of frontbeach and 148 meters infront of the higway. Private property and Deed.